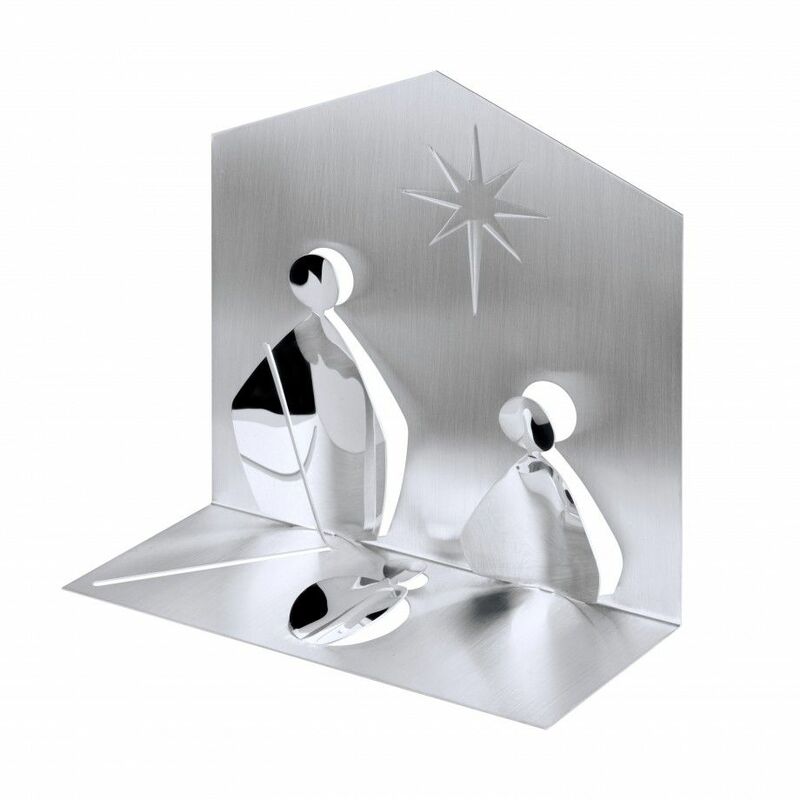 Nativity scene in silver-plated brass. 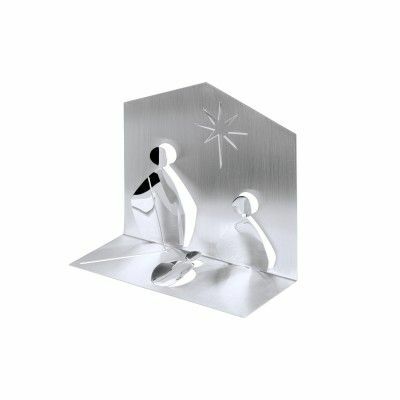 The birth of Jesus. 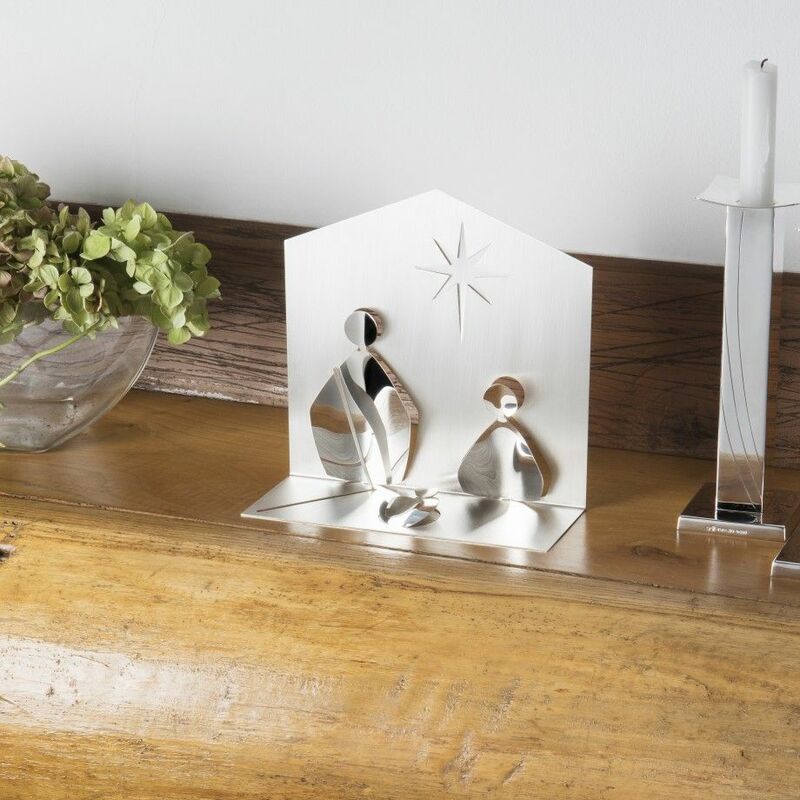 Using simple cut and bend we created a tridimensional piece, with simple form and look.